As the nation’s oldest continuously operating ironworks company, G. Krug & Son literally has helped build Baltimore. 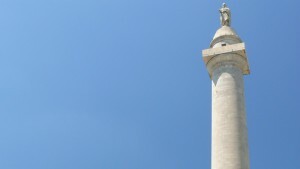 For over 200 years, the firm has fabricated distinctive components of such notable landmarks as the Baltimore Basilica, the Washington Monument and the Baltimore Zoo. 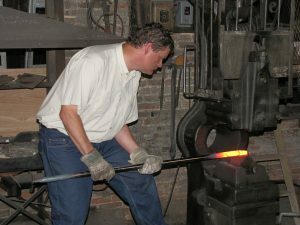 Join our tour with current owner and fifth generation ironworker Peter Krug to see archival blueprints, century-old rare pieces of ironwork that are no longer made anywhere, and Krug’s two hundred year old ironworks building where they produce wonderful pieces as they have for over two centuries. 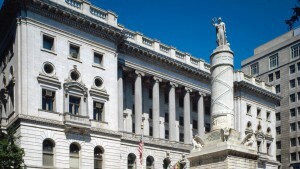 Question: What historic house in Baltimore has a clock on the front that is shaped like a dragon holding a bell in its mouth and strikes the hours with its tail? 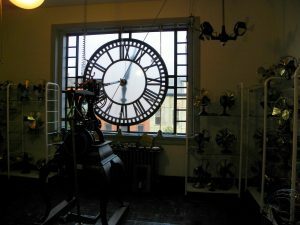 The answer is Mr. Durward Center’s “Clock House” in the Old Goucher Historic District that combines the best of a Victorian Baltimore rowhouse with Mr. Center’s ticking, whirring monument to historical clocks and mechanical musical machines. 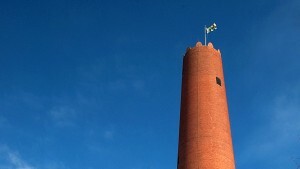 Please join us for a tour and be prepared to be charmed. 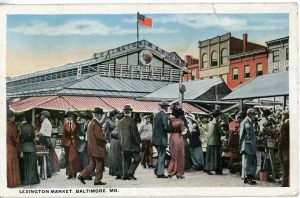 If you haven’t been to Lexington market in a while, or even if you’re a regular there, we hope you’ll join us on a tour of this iconic Baltimore place to learn about recent changes and plans for the future of the market. On the tour, we will talk with the owners of Faidley’s, Berger’s, Konstant’s Candy, and other vendors that have been in their stalls for 100 years or more. We will also go down and explore the catacombs under the marketplace, getting a first-hand look at these mysterious spaces that are normally closed to the public. Center Stage theater has called the 1899 former Loyola College and High School building its home since 1975. 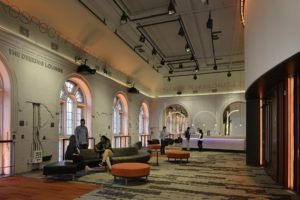 Updated and redesigned several times over the last 40 years, the most recent work at Center Stage was a $28 million extensive renovation completed two years ago. Please join us as we learn how a modern theater flourishes in a century old building with a backstage tour of Center Stage, including a visit to the costume shop in action. Originally part of George Buchanan’s Scottish named estate, Auchentorolie, today’s Auchentoroly Terrace neighborhood adjacent to Druid Hill Park is poised for change and growth. 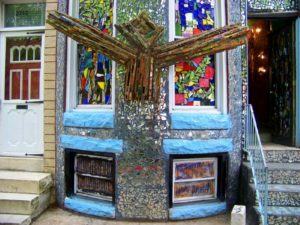 Join local resident and public artist Graham Coreil-Allan, a community leader working on neighborhood and park planning, on a walking tour to learn about the history of the community and park and the direction both are heading in the near future.